'Virgin' on the edge of a major shift? 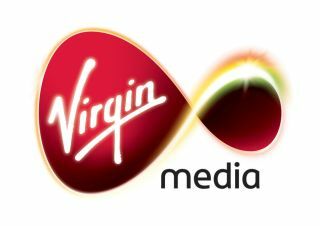 Video on demand is becoming a key part of the UK's viewing habits according to Virgin Media. The company's VOD services include the immensely popular BBC iPlayer catch-up service through its cable broadcasting – and it has helped spark a huge growth in the past month. Forty-five million views from its 3.5 million television subscribers illustrates that more than half of the customers are consuming video on demand on a regular basis. "We are clearly on the precipice of some fundamental changes in the way people watch TV," said Virgin Media's CEO Neil Berkett. "The giant leaps we have taken, this year alone, show how popular on-demand viewing has become and as we continue to add compelling programming and develop innovative new ways of accessing it, we will certainly enter a new era of television." What Satellite and Digital TV magazine editor Alex Lane told TechRadar that control is the key. "Virgin's figures are more evidence that TV has a bright future if broadcasters can give us more control over what we watch, when we watch it and where," said Lane. Rivals like satellite broadcaster Sky, and television over IP services by BT and Tiscali also offer users a VOD service, but television watching on the internet is growing hugely as well as the changes in viewing habits.